Do not miss 10 main stories of last week from Yachtharbour! In June Italian shipyard Rossinavi announced the construction of 62m superyacht Vector, known as project FR031. The name of the owner was not revealed at that time, however we did know that the client was a US citizen. Now the Miami Herald has reported the owners to be J.R. and Loren Ridinger, Miami Beach internet marketers. The society couple and founders of Market America said that the superyacht is their biggest purchase on water yet. Donald Trump has just stunned the world by becoming President-Elect of the United States. The American billionaire’s impact on the yachting industry however traces back to the late 1980s with him commissioning the world’s largest yacht and buying a shipyard. 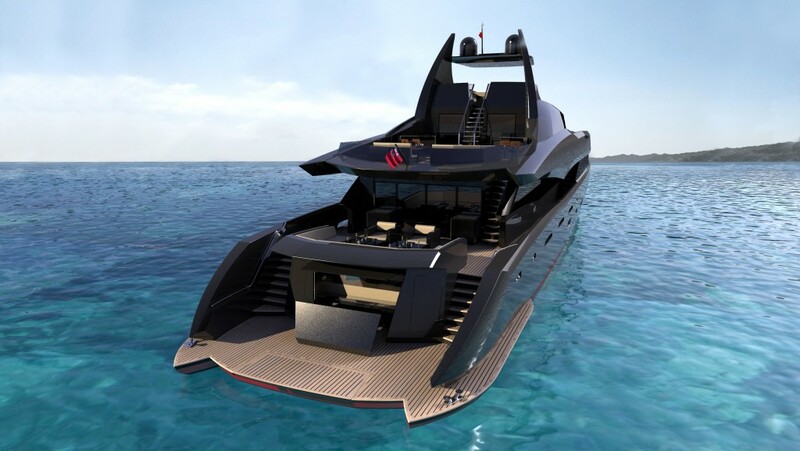 Icon Yachts together with Bristow Holmes brokerage firm unveiled 46m The Gotham Project. Built by the Dutch shipyard and designed in partnership with ER Yacht Design, she promises to be one of the most iconic yachts of the future. 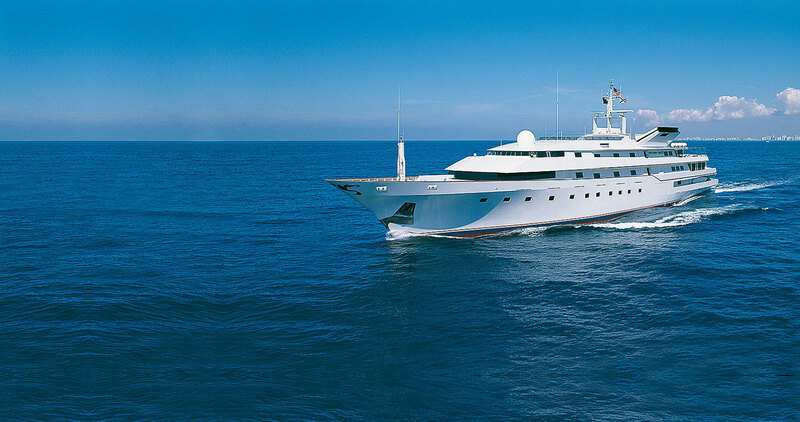 Ivan Erdevicki styled the yacht’s interior, whilst Icon Yachts and Van Oossanen were responsible for the naval architecture. 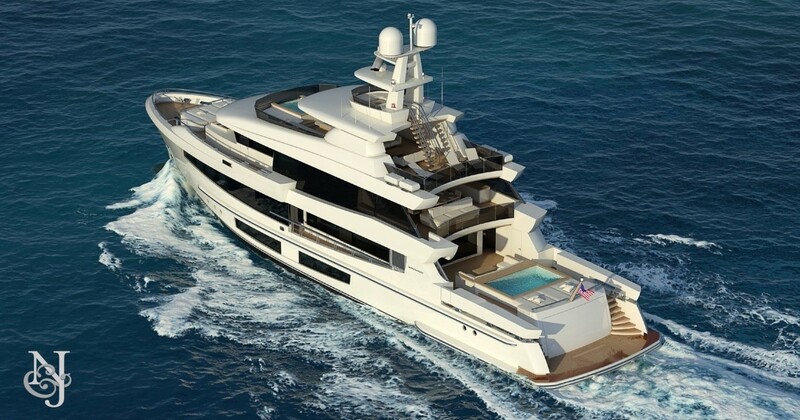 The Gotham Project is able to accommodate 10 guests in 5 cabins, as well as a crew of 10. 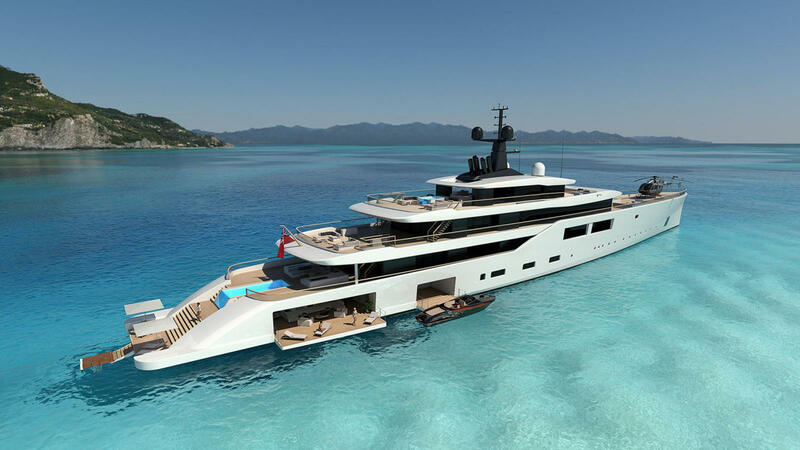 At the 2016 Fort Lauderdale International Boat Show, Oceanco revealed its latest design, the 102m Project Spectrum. Aptly named, Spectrum was conceived by Nauta Design and the Dutch shipyard to encompass a broad range of possibilities, both in terms of her propulsion system and living spaces. She maintains a sleek, streamlined profile, which allows lower resistance through the water. Fincantieri has teamed up with one of the world’s most esteemed yacht designers Horacio Bozzo to create the 120-metre megayacht concept Private Bay. Exterior relaxation spaces are plentiful, with two large Jacuzzi’s, one on the foredeck and one on the sun deck, both surrounded with large sunpads and relaxation areas. Back aft, the open beach club concept is a unique feature that includes a 160m2 lounge area with side openable windows, alfresco cinema, and a huge sea level pool with bar. There are also submergible stairs, a platform for gentle access to the ocean, and a generous swim-platform for easy boarding of water toys. Oceanco’s highly confidential 88.5m superyacht, Y715, has been recently lowered into the water in Keppel Veroime. Launched at the end of October, she has a beam of 14.5m and a draft of 3.95m. Exterior styling and interior design are by Sam Sorgiovanni Designs. She presents a modern sporty look with a dark blue hull which is generously offset with a contrasting white superstructure. With no sharp edges, she has a very organic form with large elliptical-shaped hull windows that complement Y715’s curvilinear profile. Further details remain confidential at this time. 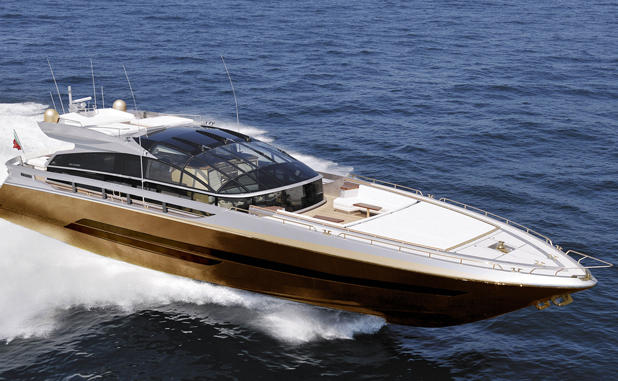 To anyone familiar with the yachting industry, the notion of a golden, 30-meter yacht valued at $4.8 billion will sound absurd. This has however not always been the case with mainstream media who have sometimes been fooled by ridiculous press releases. Norway-based Ulstein Verft has signed a contract on building a yacht for a private owner, one of the world’s biggest ship owners. This will be the first vessel for Ulstein within this segment. The marine platform and hull line design is developed by Ulstein Design & Solutions. 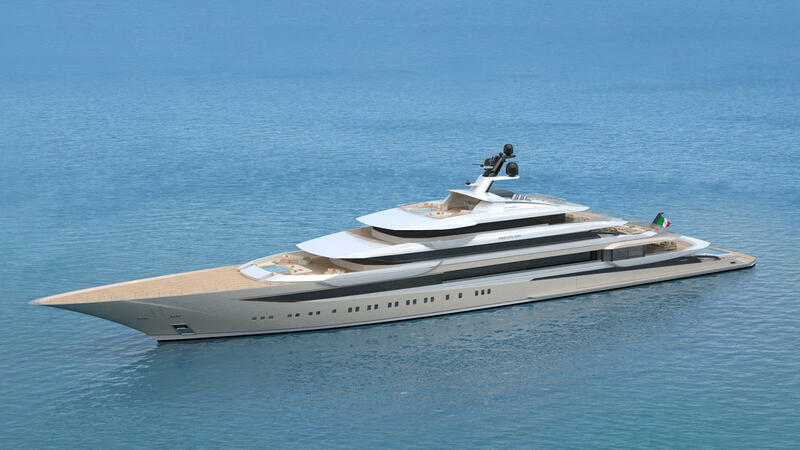 Exterior design and general arrangement plan will be supplied by the renowned yacht designer Espen Øino. During the FLIBS 2016 Italian shipyard Mondomarine unveiled the M42 Atlas project designed by Gregory Marshall and developed in collaboration with Northrop & Johnson. M42 Atlas is designed to sleep 12 guests in five staterooms, including an on-deck master cabin with options for his-and-hers bathrooms or a larger dressing area. Two of the lower-aft cabins can be combined to create one large VIP suite. All cabins are en-suite and benefit from oversized windows and portholes, filling all cabins with natural light. M42 Atlas is listed for sale for €24,500,000. 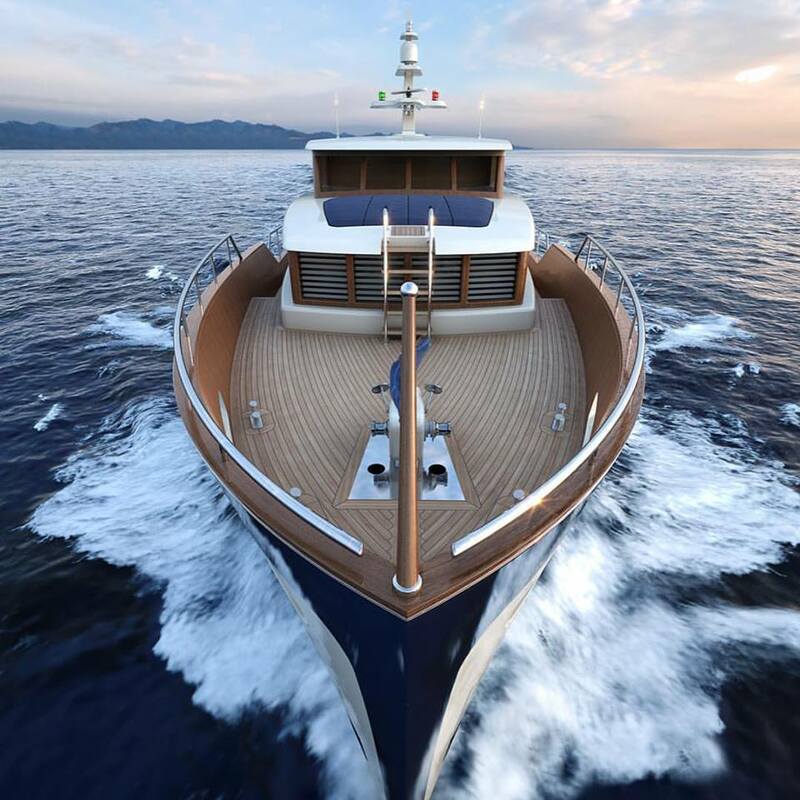 Italian shipyard Cantieri di Pisa has announced the sale of Kitalpha 22 more than a month ago. Now we’ve been informed that the first unit is currently under construction. Kitalpha 22 is able to sleep up to 8 guests in an owner’s full-beam suite and three cabins, each hosting private bathrooms. There is also a room at the bow for two crew members. Her alluring amenities include an amazing beach club, a gym/spa area. The stern cockpit on the main deck hosts a tender.